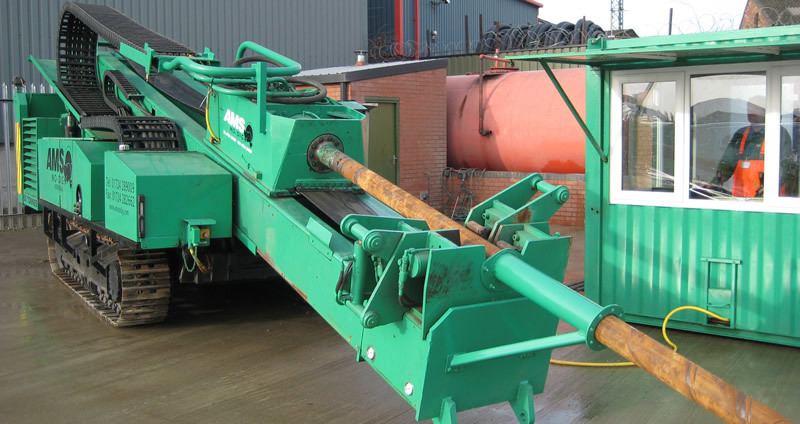 “AMS have proven to be an extremely efficient contractor in delivering their part of the works ahead of programme. They have been praised on their high standards of Health and Safety on a number of occasions by Carillion, SEESA and Magnox South whilst carrying out their works in a difficult environment”. Commissioned by SEESA and Magnox South, the works involved the installation of 4 x 132kv cable circuits from the main Sizewell power station to a new power station currently under construction. The purpose of the work was to connect the existing power station to the new power station which will take electricity from the Greater Gabbard off shore wind farm which is due to go into service in 2012. The project was to fabricate and install 5 way 180mm hppe duct configurations under areas of engineering difficulty along the cable route. In all, a total of 12 drills were carried at three locations each ranging from 60m to 380m in length. The scheme presented a number of high risk implications: crossing under wetlands, forested areas, streams and the Sizewell B access Rd. The local geology was sands and gravels with a tidal water table. This formation required a high quality mud for drilling which consisted of premium Wyoming Bentonite, gum and various other additives to ensure hole stabilisation and solids removal. AMS No-Dig’s resident mud engineer ensured the correct mud balance and weight was maintained. Due to the particular challenges of working in such a sensitive area AMS No-Dig carried out extensive risk assessments and detailed methodology for all on site activities prior to the commencement of works. During construction, stringent site audits were carried out by SEESA, Magnox and Carillion, the hard work that had taken place pre construction by the AMS No-Dig management team ensured only one minor non conformance was identified. Protection of the local flora and fauna was one of the major considerations at the design stage. Following AMS No-Dig’s consultations with the client, Horizontal Directional Drilling (HDD) was deemed to be the most suitable non-invasive technique to negotiate below the wetlands and forested areas. One of the environmental initiatives was to locate the mud management and recycling centre in one designated location. This ensured environmental impact was localised and kept to an absolute minimum. 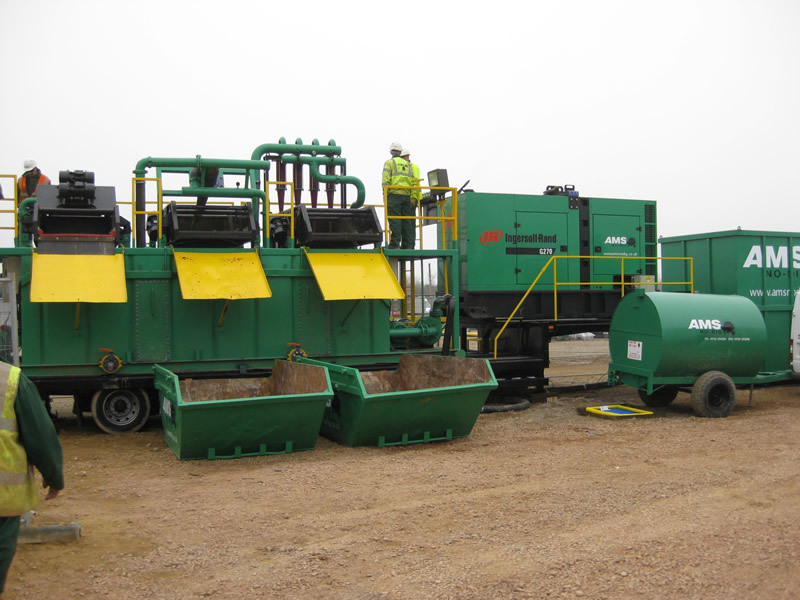 The scheme also benefited by removing the need for inter site moves of the mud processing equipment. The five month drilling contract commenced in February 2009 and was completed in June ahead of schedule. A fine achievement for both AMS No-Dig and Carillion EHV when considering the sensitivity of the site and the working restrictions put in place by the principle contractor. It is important to remember that the most challenging of projects can prove to be successful when a spirit of team work exists.